Indra, an ancient deity who reigns over the heaven of the gods in Buddhist, Hindu, and Jain mythology, is distinguished by his horizontal third eye. 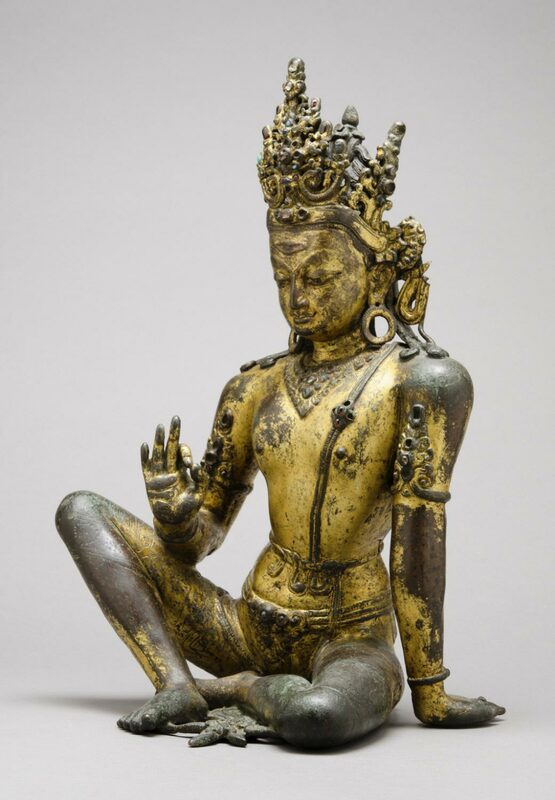 Indra is particularly popular in Nepal, among both Buddhists and Hindus. 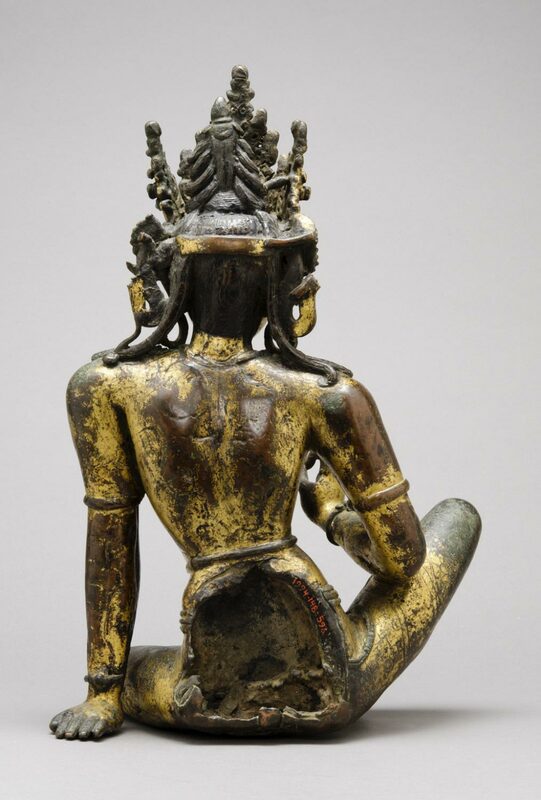 Here the god wears a close-fitting lower garment incised with subtle floral decorations. 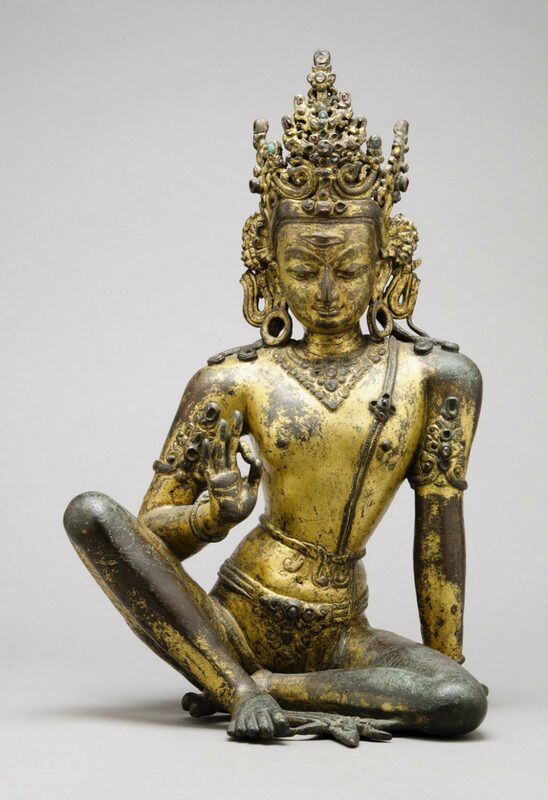 The modeling of the sculpture is similar to works made in northeastern India under the Pala and Sena dynasties (about ninth through twelfth centuries). This stylistic resonance reflects the frequent interaction between India and Nepal through Buddhist and Hindu artisans and pilgrims.